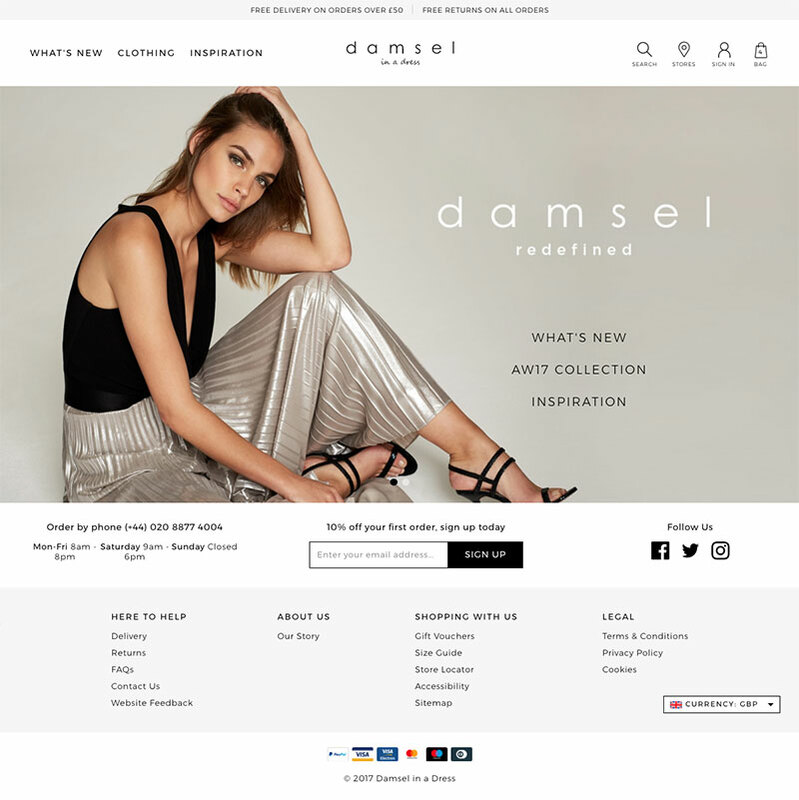 This month blubolt unveiled the exciting redesign for one of our fastest-growing retailers, online women’s clothing company Damsel in a Dress, part of the Foschini Group. Damsel in a Dress have become immensely popular and gained loyal following – so much so, the online retailer felt it was time refresh their branding and take their company in a new direction. Undergoing these changes meant the company also needed a website to match and a redesign was the perfect opportunity to showcase their expanding product range and voice their appeal to a younger demographic. The feature-rich site boosts all the latest bluCommerce functionality, as well as an aesthetically pleasing new design to match their refreshed branding. The enhanced imagery and drop-down menus ensure there is minimal distraction on landing pages so customers can focus on the impressive product range. This is an exciting step for Damsel in a Dress, who have big plans for site in the coming months to build their customer base and further enhance their online and bricks-and-mortar presence. If you’re a retailer looking to replatform, or would like to hear more blubolt and services we offer, please get in contact today.